Like any analytical instrument there are many other things you can do with it. 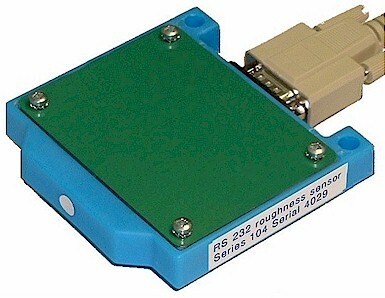 For instance instead of measuring roughness from a surface it is possible to use this sensor to calibrate to reflectivity. The output from your measurement shows in the Palm and instead of using the calculated data’s from the sensor you can create your own calibration by using the formulas above or other manipulations. Hohner calibrates the ROU = roughness with calibration samples in the microprocessor from the sensor. To recalibrate simply use the calibration samples or your own calibration samples and go with the formula above in your Palm by ignoring the existing coming from the sensor. You always can use the values from the sensor as default. You can calculate the new values or put the formula in your Palm software.